Everyone enjoys a great backyard barbeque. The great Australian dream often involves the family getting together in the backyard for food and good times. But what happens when your backyard isn’t up to scratch? Maybe your backyard is in need of a little makeover and some T.L.C. Adding a few simple features can transform your backyard into the ultimate outdoor living space, adding value to your home and giving you better use of your garden. There is something about a well maintained, tastefully decorated deck that is incredibly inviting for friends and family to visit and enjoy. You don’t need to have an elevated home to have a deck in your backyard. 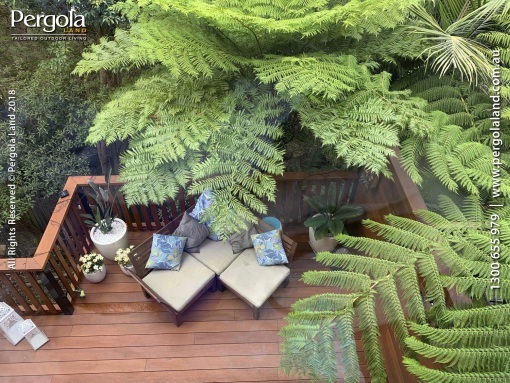 Decks can be adjoining the home, or in a separate area of the backyard. The deck will add an extra living space, and can easily be accommodated with roofing to ensure even wet weather won’t stop your family from having a great time. When you add in comfortable seating and a dining table, you may just find yourself spending more time outdoors than indoors, soaking up the Australian sun. If you have a deck with an outdoor dining table waiting for food to be served up, what better way of cooking your food than in an outdoor kitchen. Outdoor kitchens can add a lot of value to your home, as you are essentially adding in a second kitchen to your home. An outdoor kitchen gives you the option of cooking up dinner while still being able to enjoy the outdoors and watch the family. These kitchens can be styled to suit your needs, and can either be quite basic or quite extravagant, depending on how much room you have and your budget. A basic kitchen would consist of a barbeque, some cupboard space and possibly a sink. Otherwise, if you really want to impress, a large kitchen would consist of these things plus a pizza oven, mini bar, or even a smoker. Whether it’s a cool winter night or a warm spring evening, there’s nothing more enticing than gathering around an open fire to chat, laugh, and roast some marshmallows. Firepits have been gaining more popularity over the past few years due to their low maintenance and appeal. They can be a great D.I.Y project for the weekend warrior, and can be built from a range of materials like stone pavers and retaining bricks. Generally they’re quite easy for the average handyman to build, and can be customized to suit your garden needs. Adding built in seating will also make it more inviting on those cool nights at home. Pathways around the garden that have been creatively designed can add a magical and mystical effect to your backyard. Even small yards can benefit from a little pathway from one point to another, and a path can be used to direct the eyes towards a focal point in the backyard, such as a fountain or plant. Paths are also great for leading guests to a certain area. For example, you may have a path leading to your firepit or a hidden seating area away from the home. Don’t be afraid to get creative with your path, and think outside the box by using mosaics, more than one material type in your path, or curving your pathway. And don’t forget about adding curb appeal to the front of your home. With a neat pathway leading to the front door and tasteful landscaping to match, you will be sure to add more value to your home. Running water adds a relaxing feel to the home, and can easily be added to the backyard. One of the simplest ways to do so is by installing a water fountain. Fountains, either stand-alone or as part of a pond, look great any time of the year. They can also easily contain fish to add that magical touch. If you want to make a big splash, a water feature wall can create a luxurious feel that will make your home seem like a five star resort in an instant. They can be designed in many ways, be as small or as large as you like and, with added lighting, can really jazz up your outdoor space. No matter whether it’s attached to your house or located separately in your yard, a pergola can be the perfect outdoor room addition your home is crying out for. Not only will it give you more livable area, but it can create a statement piece that will stand out. 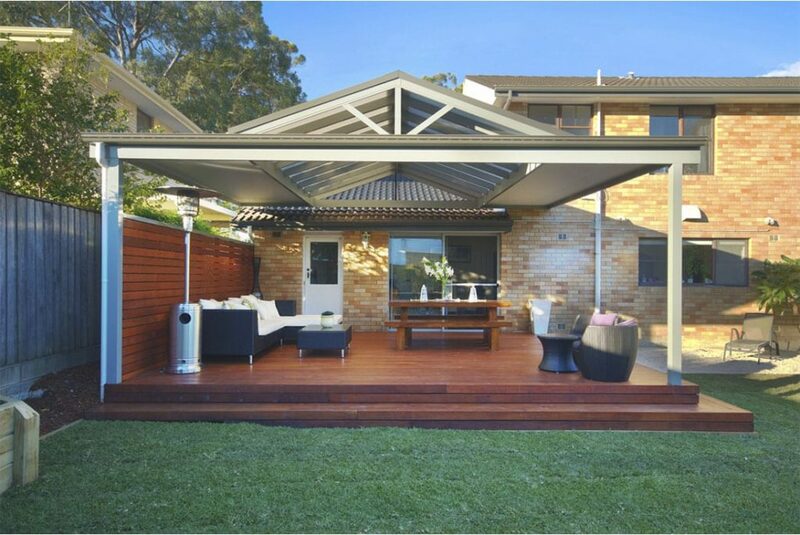 A covered pergola is especially valuable during the hot Aussie summer, offering protection from the harsh sun so you can enjoy the outdoors any time of day. Covering the exterior with creeping ivy and other climbing plants can also create a whimsical spot that’s perfect for relaxation, right in your garden. Making use of all the space your house and land has to offer not only gives you and your family more room to move, but adds great value to your home and makes entertaining a breeze.